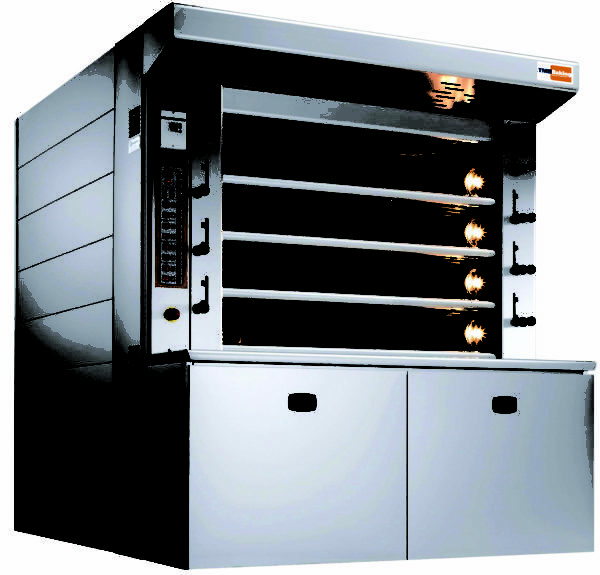 Description: The Steelheart™ Deck oven is designed primarily for retail bakeries due its compact design. The gas burner on this oven fires into a stainless steel flame tube, which serves as the heat exchanger, transmitting heat to the water-filled vapor tubes that wrap around it. These vapor tubes, in turn, heat the stone hearths below and air above each hearth. This oven frequently fits both the available space and budget for retail bakeries that produce a variety of bread and other baked goods. 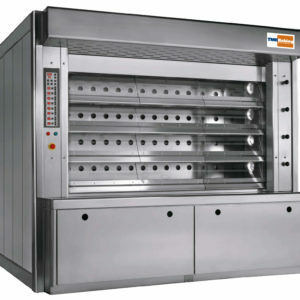 Single baking chamber window width of 800mm (31.5”) for the Model 812 and two window widths of 600mm (23.6”) for the Model 1212 and 1218. 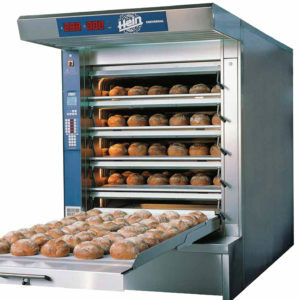 Hearth stone depths of 1200mm (47.2”) for the 812 and 1212 to 1800mm (70.9”) for the model 1218, providing baking capacity suitable to most retail bakeries. 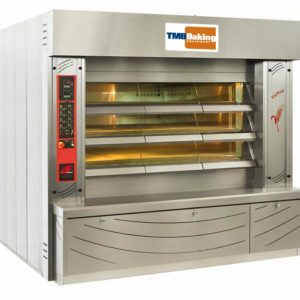 Use of high-temperature insulation for zero-clearance rating on sides and back of oven.